Snare Drum Duets for Drummers and Percussionists of all performance levels - suitable for study, recitals or contests. Scored for two snare drums, this work was inspired by West African rhythmic procedures. It includes a cadenza section that can be "opened up" to highlight each performer. Collection of challenging, contemporary duets for snare drum - in some duets, players add woodblocks, cowbells and/or tom toms. Refreshing material that explores polyrhythms, interlocking textures and "grooves", as well as some of the varied "tonal" possibilities of the snare drum. Suitable for study, contest or recital. Collection of 25 easy to intermediate level duets. 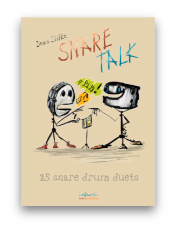 "For teachers and students alike, these snare drum duets liven up the learning process with a variety of musical elements: form, rhythm, dynamics, etc. What makes them fascinating and fun are the dialogues that emerge while playing them. The duets are ideal for students who already know basic music reading and playing techniques. The pieces get more difficult as the book progresses with new elements being introduced, such as different metres, grace notes, rolls, etc. Some are complete with dynamics. Others leave room for the players' own dynamic expression. Several duets are fine concert pieces while others are great for training specific techniques. This combination enriches the experience of learning to play the snare drum." Studies in Rhythm contains a variety of moderate to advanced level snare drum solos and corresponding duets. The duets are constructed from the main musical elements utilized in each solo, for example: KRUSH is a solo and KRUSH II is a duet, and each share similar musical elements. In addition, the studies in this collection can be played in a rudimental (with open or measured rolls) or orchestral style (closed or buzz rolls). A substantial musical statement, this suite utilizes contemporary rhythms, four challenging movements excellently suited for recital or contest performance. A unique multi-percussion duet centered on two snare drums that are mounted snare side "up" - various sonic effects are created by playing on the snare strands themselves as well as on the batter head (upside down). To this amalgam is added two bass drums (pedal), two bass drums (concert) and bongos. 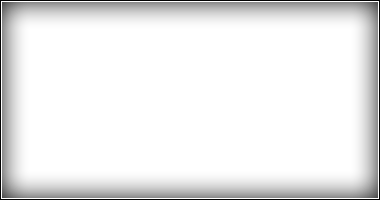 The rhythms are often intricate and interlocking between the two players. This is a challenging duet suitable for accomplished percussionists.